Manual toothbrushes generally clean just as well as electric toothbrushes, if used correctly, however there are now more reasons for looking to use the CURAPROX Hydrosonic. It doesn’t matter if there are complicated tooth alignments, braces, implants, difficult to clean bridges – with the Hydrosonic there is no longer anything that’s difficult to clean. People who also have difficulty with fine motor skills will also find that brushing with the Hydrosonic is a major help. The Hydrosonic offers up to 42,000 sonic waves per minute and the powerful motor permits three cleaning modes: «Intensive» is ideal for the proper removal of biofilm bacteria. 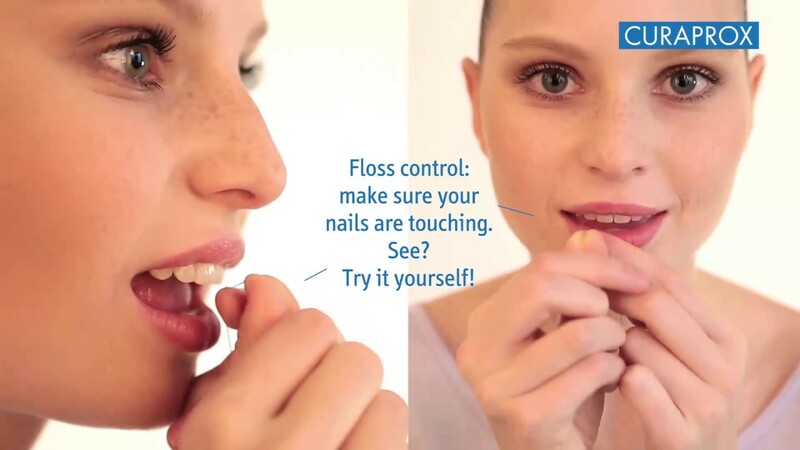 «Soft» cleans sensitive teeth and gums gently and safely and «Massage» for massaging gums or for simply getting used to this new way of brushing teeth. Regardless of how well you brush your teeth or what the media promise, brushing alone is not enough. Anyone who wants to ensure that the spaces between the teeth are also clean and healthy will be delighted by our Curaprox CPS prime interdental brush range. These little brushes are so soft and effective that interdental cleaning will be a real pleasure. In comparison to dental floss they are considerably easier to use and really clean the many tiny crevices between the teeth. Enzycal toothpaste is a particularly mild toothpaste that is gentle on teeth, gums and oral mucosa. People who wish to avoid irritating and controversial toothpaste ingredients will at last be pleased to find that enzycal is the perfect choice, without a mouth ulcer in sight. «As often happens, it all started by chance: At Zurich’s main station, among all the people bustling to catch their trains during rush hour, I met Professor Ueli Saxer. He had time to sit down for a coffee and so we talked in the “Au premier” restaurant about the proper way to clean teeth. I was curious because Ueli Saxer had been deeply involved in the topic of sonic toothbrushes. Of course I had an ulterior motive. Is it possible, I asked Ueli Saxer, to make a sonic toothbrush that’s better than all the others already available? Yes, said Ueli Saxer, by using the right brush head.